Joel Pereira, Phil Jones (recovering), Michael Carrick and Wayne Rooney (both minor muscle problems) out injured. Marcos Rojo available. Alexander Søderlund, Cheikh M’Bengue and Oussama Tannane out injured. Robert Berič doubtful (injury). Manchester United played the home leg of the 1977/78 Cup Winners' Cup clash at Plymouth Argyle's Home Park after crowd troubles in the first leg in France. The club was disqualified from the competition - only to be reinstated on appeal on condition that they played their home tie 200 km from Old Trafford - with United ultimately choosing to play in Plymouth. Be interesting this one - been a long while since we've played in a competition where penalties could possibly be awarded in our favour, potentially brings a new dimension to the game. Same lineup as today. Get a nice advantage going into the second leg hopefully. I'd probably change Smalling for Rojo and Darmian for Blind at the back. Hopefully we can win the tie in this leg and concentrate on the League Cup final. We won't though, we'll miss a billion chances and win by 1 goal. Smack them silly in the first leg, chill in the second leg. What about the Blackburn game? Darmian for Blind, with 5 days rest, what for? I thought the game changed to Wednesday? Or am I making things up? Edit: seems I made it up. Exactly the same team, please! Hope Mourinho doesn't rotate too much again and drain the tempo out of the team. I think exaggerated rotation was one of the causes for our January slump. Have no idea how they are.. No clue what to expect. If we stop with the strings of draws we can definitely get 2nd. Leicester and Watford games showed a new maturity in our play and being able to score in the first half is a major novelty. 3-0 at home, early away goal and canter to the next round. same as today, rotate more against Blackburn. Hopefully win the tie in first leg. So are we taking this thing seriously this time? They're currently 5th, won 9, drawn 9 and lost 6. Scored 26 and conceded 19 in 24 games, so I'm expecting a pretty dull game, maybe 1-0 or 2-0. 5th in the French League, can't be that bad, with the 3rd best defense, and balanced home and away. Just lost 1-0 away to Balotelli's Nice, playing apparently in a 4-2-3-1. Jose will go for a two goal margin to kill the tie. a clean sheet is a must in this. I know Aleksander Søderlund plays for them but that's it. How good they are and how they've done in the league I've now idea. Hoping for an unchanged team (or just with Jones/Rojo instead of Smalling) but expecting more changes for Mourinho. He likes to mix his teams now, and we shouldn't expect the a complete second team to face Blackburn, but one with several from the first team. They play tomorrow so we have an extra day advantage. Anyone know if Rojo's injured and when Jones is back? I personally feel Rojo is definitely injured, otherwise he would not be left out of the squad. Jones was supposed to be recovered, don't know what happened. Mourinho's talking about Pogba play very much improved in the last two games, where he played in a midfield two, so I guess we'll see much more of that in the future, instead of the 4-3-3 with Carrick. Then rotate vs Blackburn. We've got to make use of the squad. 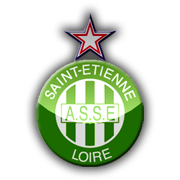 Ive no idea how St Etienne play or how they are playing. The only change that should need making is Fellaini for Mata if we need to go 4-3-3.